BURNABY — The last time a high school team from Burnaby South Secondary came to the Langley Events Centre, it left with arguably the biggest prize in all of B.C. high school sports. That was last March when the Rebels’ senior boys basketball team won the coveted B.C. Quad-A senior boys basketball championship. 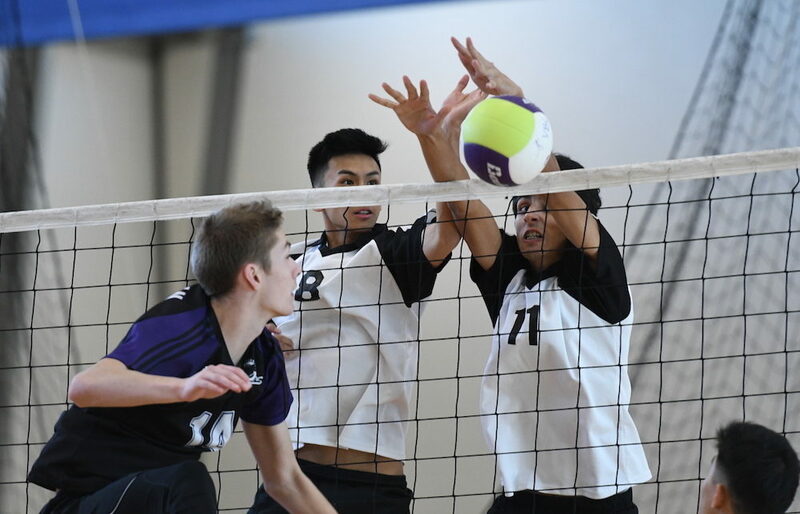 Starting a four-day run Wednesday, a less-heralded but no less-excited team of Burnaby South senior varsity boys make their own trip to the LEC, this time for the AA and AAA Kahunaverse Sports B.C. Boys High School Volleyball Championships. 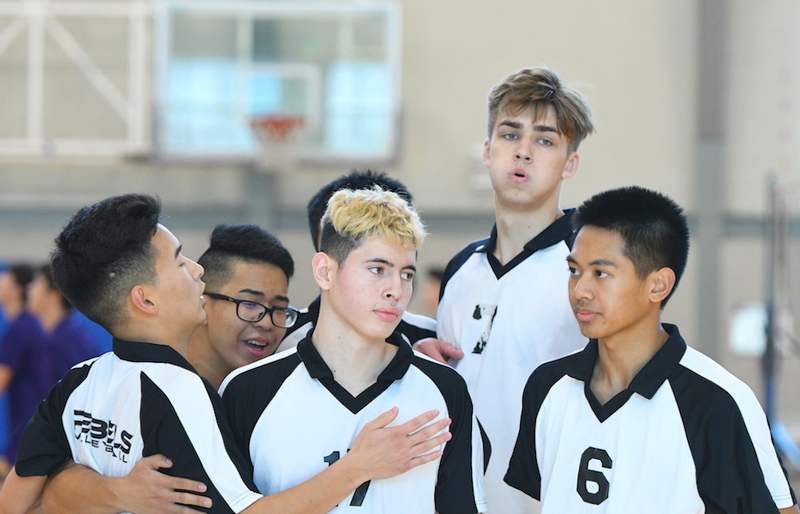 “We are just so happy to be going,” said Rebels head coach Peggy Chow of a Burnaby South boys volleyball program which has qualified for the Big Dance for the first time in 16 years. In all honesty, not every success story can be measured by conference championships, Final Four berths attained and post-secondary players produced. Of course all of those accomplishments are the hallmarks of the province’s elite programs, like the ones you’ll see this week from the likes of Earl Marriott, Oak Bay, and Van Tech among others. As Chow remembers so fondly, their moment was borne when four of her current seniors falling in love with the game back in 2015 when they banded together and won the Burnaby-New West Grade 9 championship banner. The Rebels got it done by beating the Steveston-London Sharks for fifth-place at the recent Lower Mainland championships to grab the last spot into the 20-team draw. The Rebels open pool play Wednesday with a 9:30 a.m. match against Surrey’s Fleetwood Park Dragons. On Friday, Double-A semifinals are slated for dual 5:30 p.m. starts, followed by a pair of 7:30 p.m. AAA semifinals. On Saturday, the four showcase matches will all take place on the LEC’s Centre Court. AA bronze will be settled at 12 p.m., followed by the AAA bronze match at 2 p.m. The B.C. AA finals begins at 4 p.m., followed by the B.C. AAA final at 6 p.m.